Join the South San Francisco Public Library for an evening with noted author, Barry Gifford. The Author will be reading from his new novel, The Up –Down, from Seven Stories Press, the eighth novel in the Wild at Heart cycle that began in 1990, and the book that brings the Sailor and Lula story to its natural conclusion. Wild at Heart was adapted to film by famed director David Lynch, and quickly became a cult classic. Brentwood- Barry Gifford discusses and signs "The Up-Down"
Diesel, A Bookstore in Brentwood welcomes author Barry Gifford to the store to discuss and sign his new novel The Up-Down on Thursday, January 22nd at 6:30pm. 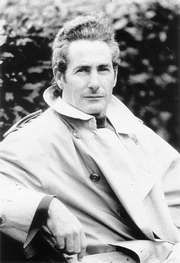 Barry Gifford is the author of over twenty-five books. His work includes fiction, non-fiction, poetry, plays and screenplays, and has been translated into more than seventeen languages. His novel, Wild at Heart was made into an award winning film by David Lynch. Gifford's writing has appeared in many national magazines and newspapers and his books have received awards from PEN, the NEA, the Art Directors club of New York, and the American Library Association. He lives in the San Francisco Bay area. Barry Gifford, "The Roy Stories"
Chicago author/poet Barry Gifford visits the Book Cellar to read from and sign copies of his new story collection, The Roy Stories. The Roy Stories features one section of previously unpublished stories, as well as stories from three other published collections from throughout his career: Memories from a Sinking Ship, Wyoming, and Sad Stories of the Death of Kings, all of which follow the character of Roy as he as he grows up and comes of age in the 1940s and 50s. Barry Gifford's book Chicago Noir: The Classics was available from LibraryThing Early Reviewers. Barry Gifford's book Sailor & Lula: The Complete Novels was available from LibraryThing Early Reviewers. Barry Gifford is currently considered a "single author." If one or more works are by a distinct, homonymous authors, go ahead and split the author. Barry Gifford is composed of 2 names. You can examine and separate out names.